From author Agatha Christie to musician Leonard Bernstein and from a snowy inn in England to the wild streets of New York, the 2016-17 Ethington Theatre season surely will astound you. 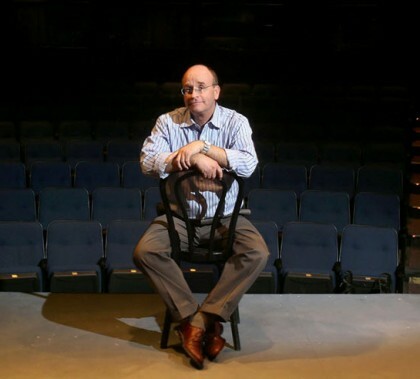 It opens with the drama of “The Mousetrap” and closes with “West Side Story,” a beloved and renowned romantic musical. One thing is certain: You will need to get your tickets early. Photos by Darryl Webb GCU News Bureau The four winners of the Colangelo Scholarships — named in honor of Jerry Colangelo, namesake of GCU’s Colangelo College of Business — received the good news this week in four separate ceremonies at their respective schools. They are Denice Ledezma of Westwood High School in Mesa, Tierney Gallagher of Mountain Pointe High in Phoenix, Areina Wilson of Paradise Valley Christian Preparatory and Manuel Aguilar of Franklin Police & Fire High in Phoenix. The Colangelo Scholarships are being handed out this week, and the emotional scene was played out the last two mornings at three Phoenix-area high schools. It’s always a heart-warming scene to see dreams come true, but when you dig into the stories of these students and their families, you come upon a spirit of determination that will play well at the University. Nearly a dozen GCU College of Education staff members made Mother’s Day extra special by volunteering with Save the Family, a nonprofit that gives a “hand up” to homeless and domestic violence victims. COE members created cards and goodie bags for children and families. “We all had a blast and made such a huge difference in these kids’ and their mothers’ lives,” said Arielle Alvarez, teacher placement specialist. When Juan Mendoza arrived on campus, he came with the original purpose of earning a degree to enter the health care system. In the process, however, he was able to develop faith in the Lord and began to recognize all the great things the Lord had done for him. 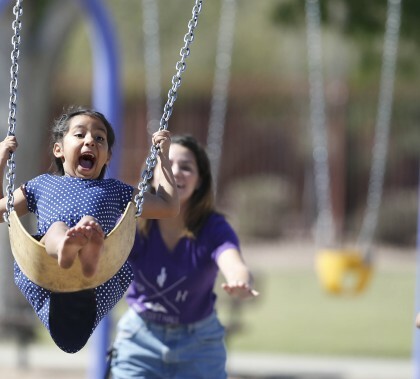 On Saturday mornings during the school year, Canyon Kids volunteers gather by 9 a.m. and spread out shepherd-like into neighborhoods north and south of GCU, gathering children as they walk to Little Canyon and Cielito parks. GCU students engage dozens of children ages 3-15 in games, a skit, a Bible verse study, and a crafts project. The outreach, volunteers say, brings the Lord to the children. GCU is part of a national movement against abuse of opioids, the highly addictive medications that relieve pain. The College of Nursing and Health Care Professions will implement “A Guideline for Prescribing Opioids for Chronic Pain” by the Centers for Disease Control and Prevention into its pharmacology course, a requirement for all nurse practitioners starting this month. Photos by Darryl Webb GCU News Bureau Students Inspiring Students full-tuition scholarships to Grand Canyon University were handed out Thursday at three area high schools — Washington, Central and Franklin Police and Fire. 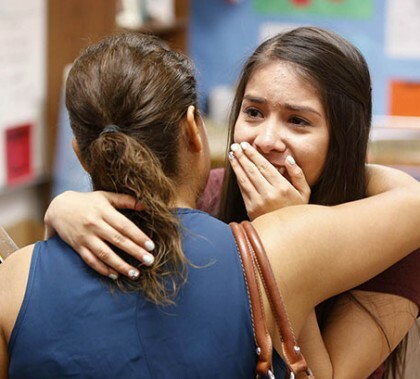 It was an emotional moment for students and their families. The Students Inspiring Students initiative has had a remarkable effect this week. 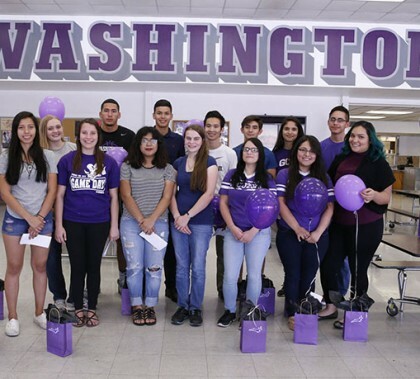 Thursday, Washington High was one of three schools to receive full-tuition rides that day – 14, to be exact. The life-changing opportunity was a shock for assistant principal Jeff Parsons and the students. This week’s Antelope Intros feature two proud GCU alums who are excited to begin their new ventures. One likes to exercise and test her creativity in the kitchen, while the other finds nothing more delicious than words.